Description: Celebrate the blessing of the harvest and of the preceding year with a Thanksgiving card. 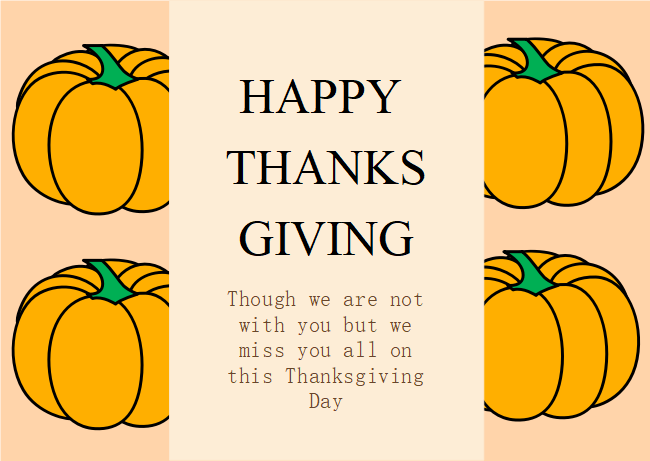 The pumpkin Thanksgiving card features a warm background with comic pumpkins and black typography. Edit this template to fit your style with Edraw's easy-to-use customizing tools.